Pulp! the RPG is finally available for download. We are so excited, and we hope that you’ll join us in playing this wonderful, quick and easy new tabletop game! You can read the full core rules on our website here or download the PDF from our Downloads page. You can also now get Pulp! 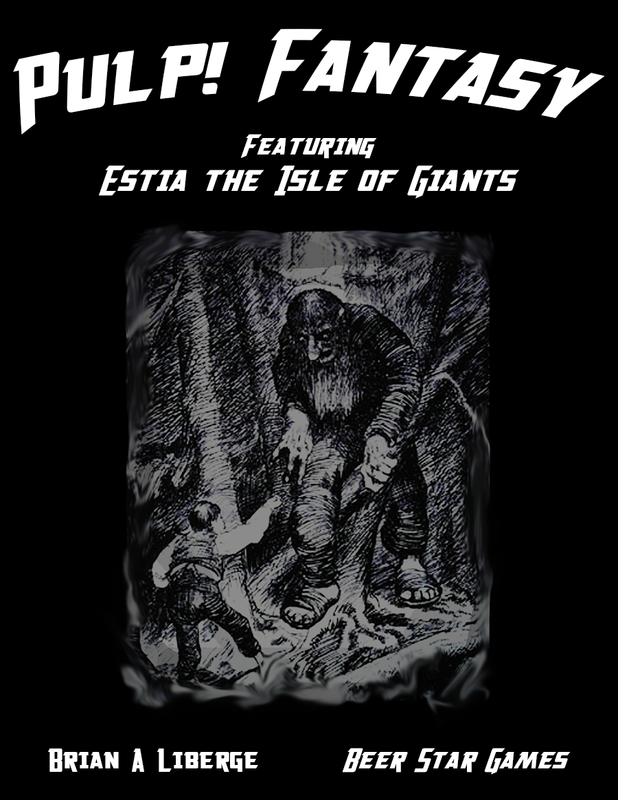 Fantasy: Estia the Isle of Giants! It contains the core rules, a brief on the Shattered Seas setting, an adventure, six player characters and a bonus bestiary. The PDF is $5.00 from DriveThruRPG. Get in Print for $13.00 from Lulu. You can also download it now from our Downloads page.